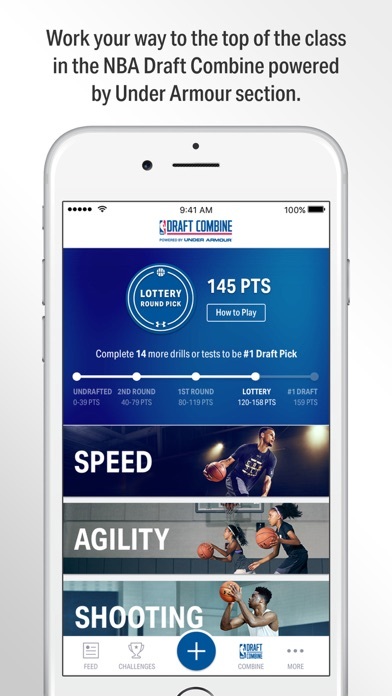 This app is perfect for anyone trying to improve their game. If you love fitness and have a desire to get healthy along with live for the NBA? This is the app for you! Great job. Would enter workout into the app but wouldnt show up on the correct date or at all. Contact customer support and five days later received an email it was fixed but still didnt work- app deleted. This app has everything you want in a FITness app! Nutrition tips and recipes, training videos and plans, live news feeds from your favorite NBA/WNBA players. 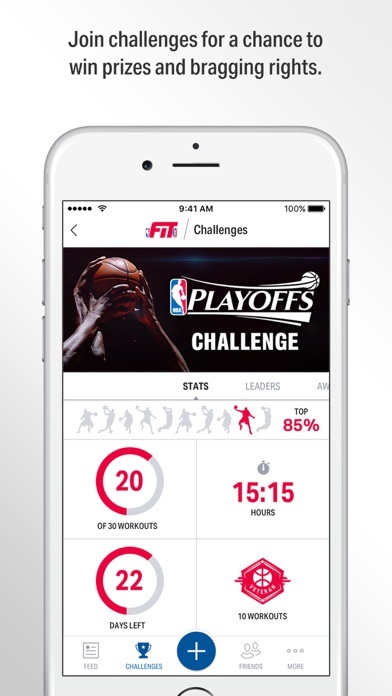 Oh and you can challenge your friends and makes logging in your workouts fun, just a really solid app. One of my favorite apps now, I use it daily! Seems like it's really just a social app, not a fitness app. Needs to open the Record app to log or track workouts and you can probably get the same people in your feed on the Record app so not sure what the point is. There's nothing that describes how good this is. I mean wow. Good app. I prefer Kyrie Irving he's the best Point Guard in the league.Hope he gets NBA Finals MVP this year if the cavs win. 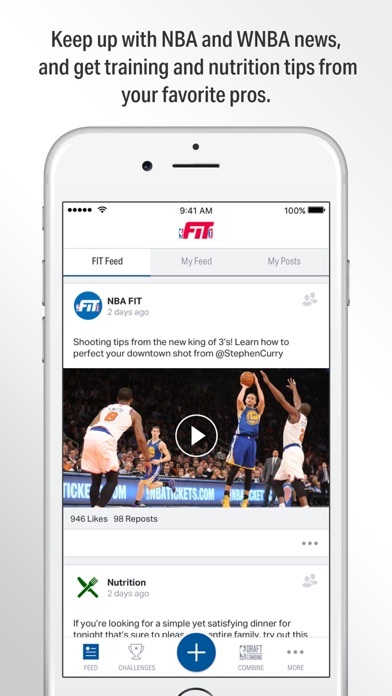 App DOES NOT SKIMP on the quality content - videos with Stephen Curry showing how he does his thing (and playing golf?! Yep, for real.) They show workouts, training - so much good stuff, and not fluff. 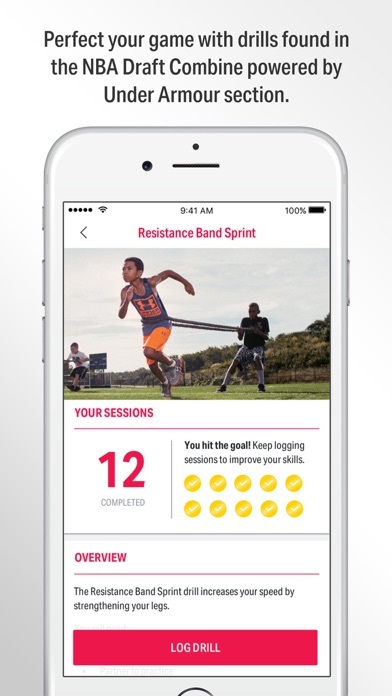 They did basketball workout tracking right too. You can log your game stats including team names. I log my practice/shooting/drills so I can see the progression. Yhey have a special mode for logging pickup, makes it easy to count towards the sports challenges. This is my new favorite app. Has me playing even more, only partly cause I'm totally sucked into these workout Challenges. My friends joined, so we can all do the challenge at the same time. We could probably just use this app entirely to talk smack but, unfortunately, the rest of the app is also awesome, so that'd be a waste. The whole thing is actually free. None of that bait'n'switch - this app is 100% real and keeping it classy - just like the MVP himself. 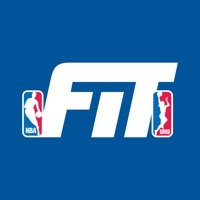 Love the NBA Fit app!!!! Love the "behind the scenes" videos with Stephen and the NBA stars as they train for their games. Challenges should be fun too.